The journey between our birth and death is the story of our life. On this journey we will meet with desperation, delight, love and loneliness. Sometimes our minds respond to the events and the experiences in our lives in ways that can become extremely disturbing for us and those around us. Doctors call this reaction to life ‘mental illness’. We use drink and drugs to give us pleasure, to stop us feeling pain or because we have nothing better to do. If drugs are part of our life they will have an effect on our mental illness. What this effect will be depends on the person, the drug and how the drug is used. These stories are based on talking to people in psychiatric treatment. 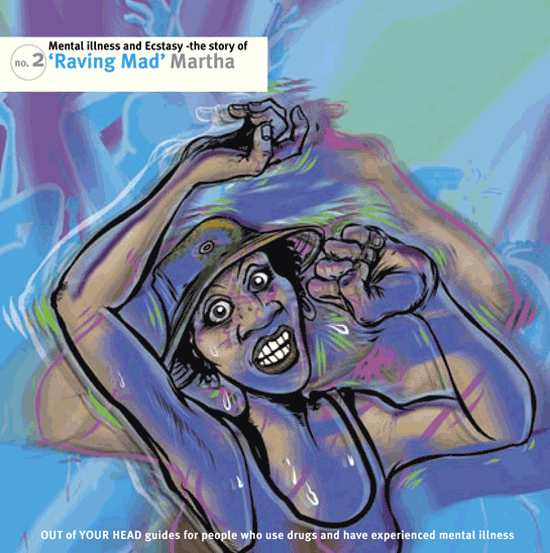 This story is about Martha and the role that ecstasy plays in her life and her illness.